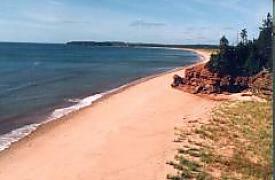 Executive beach house for rent in eastern Prince Edward Island, situated seventy five feet from the beach. Enjoy morning coffee fron one of the large decks which offer a panoramic view of the ocean. Walk for miles exploring sand dunes and gathering shells or simply enjoy sunbathing or playing in the surf. The tastefully appointed gourmet kitchen offers all new appliances. 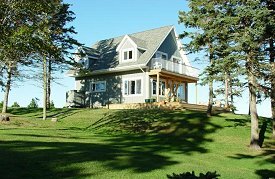 For more information, visit www.thecovepei.ca. Television, Satellite Dish, VHS VCR.